Member dues are the BRVA’s primary revenue source. Help us build a stronger, more sustainable Village association. Why should you support the BRVA? Do you want to see Broad Ripple prosper? So do we, and that’s what we do. Since 1969 the BRVA has been focused on fostering an authentic, inclusive and vibrant Cultural District and neighborhood. 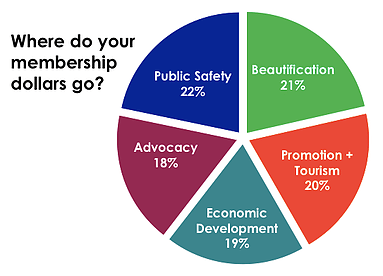 Membership dues are the organization’s primary source of operating funds. *available for residents and solopreneur/single operator businesses only (realtors, hairdressers, etc.) Individually owned businesses are asked to join at the Silver Level. Membership into the organization grants the important privilege of shaping the governing body of the organization by voting in the annual election of the Board of Directors. It also makes the member eligible to run for a seat on the Board of Directors. Ongoing promotion by the BRVA across our social media channels. Our audience includes 33K Twitter followers, 29K Facebook followers, and 6K Instagram followers, and we are growing every quarter! Are eligible for special membership perks: special discounts, offers, exclusive experiences, and more!